Chad Underkoffler has been gaming since 1981, and freelance writing in the game industry since 1998, both to the confusion of his family. His column "Campaign in a Box" appeared bimonthly in Pyramid Online; he's written and edited for Atlas Games' Unknown Armies RPG line and Evil Hat Productions' Dresden Files RPG, amongst others. 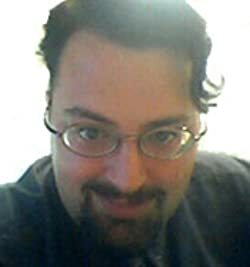 He has also written and published several RPGs under his own company, Atomic Sock Monkey Press. Chad currently lives in Washington, PA. Please enter your email address and click the Follow button to follow Chad Underkoffler!